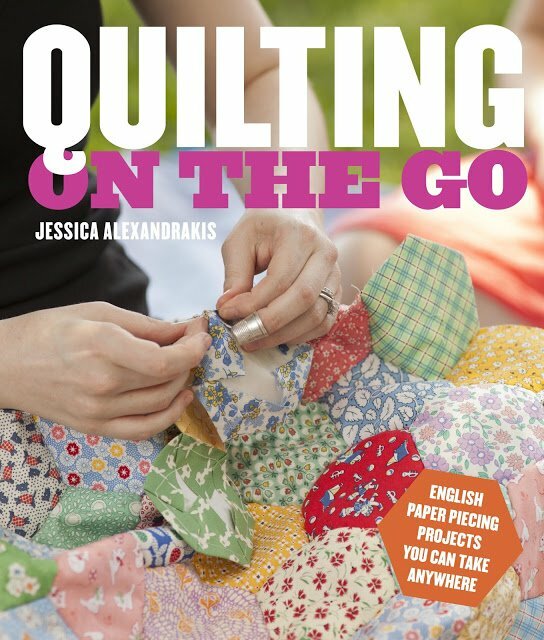 We are excited to announce that the author of Quilting on the Go will be stopping by M&E Quilt Shoppe to share her love of English Paper Piecing. Jessica Alexandrakis learned to quilt while living in Hokkaido, Japan in 2002. She loves scrap quilts, one-patch quilts, and quiliting in public. She started blogging about her quilting efforts in 2006 and currently blogs at LifeUnderQuilts.blogspot.com. An active member of the NYC Metro Modern Quilt Guild, she lives outside of New York City with her husband and two children. 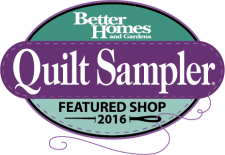 Quilting on the Go enables you to quilt on vacation, at the beach, or virtually anywhere else you find yourself. Jessica has traveled the world with her on-the-go sewing kit and small stash of fabric creating strikingly modern patchwork along the way. We are excited to have her coming to M&E to share everything she's learned about this addictive, beginner-friendly technique. So bring your favorite needle, thimble and thread and join us for a fun-filled afternoon. Learn how to break free from your sewing machine! $30.00 - includes an autographed copy of the book.